Rating: 4.0/5. From 46 votes. Maspalomas’ newest and largest men-only gay cruise bar on two floors. 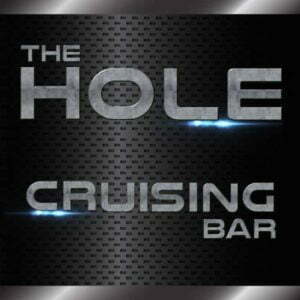 The HOLE features slings, private cabins, glory holes, smoking area, lockers. Discreetly located at the rear of CC Jardin del Sol, only a 7-minute walk from the Yumbo Center! 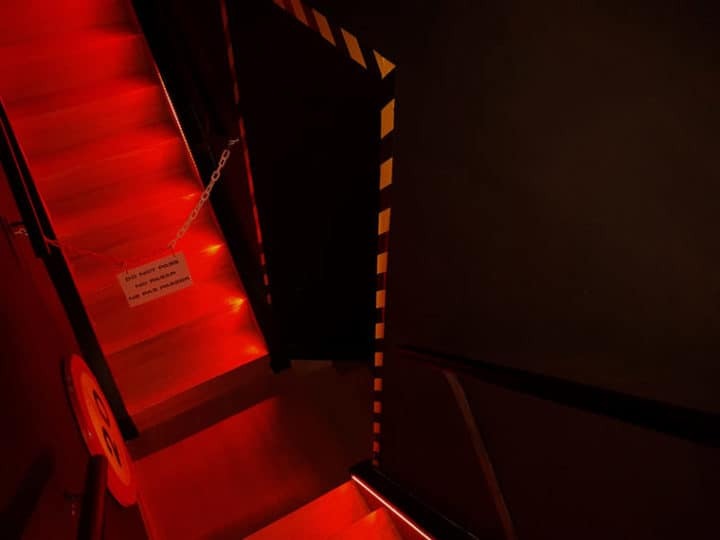 The HOLE welcomes all fetishes and sexual interests in a safe, clean environment. Anything-goes cruising session. There is a different dress code every day – check their Facebook page for information about special offers and events. “All the potential for a great experience afternoon,evening or night. Getting away from the Yumbo and opening at times different to everyone else is bold . Aperitif not busy atm but it’s what you make it and those there obviously were keen to! Rob on 31-Mar-2019 | Reply	Problem with this review? Mark on 26-Mar-2019 | Reply	Problem with this review? “Hi Mark thank you for your review, Last monday was just the day after a big week end of the carnival, and last monday it was raining a lot if you remember, and yes in every cruising bar they are some days where they are no action, it's like that, it's not the fault of us, or the fault of the bar, I don't think to put a bad comment will solve the problem and it's not really nice because it's not our fault, but if you wanted some action, why you didn't put some action?????? The Hole on 27-Mar-2019 | Reply	Problem with this review? Josh on 21-Mar-2019 | Reply	Problem with this review? Ant on 05-Mar-2019 | Reply	Problem with this review? “Hi apparently you don't stop with your review. First you don't respect our bar and our rules, we have a dress code the Saturday night who is sport/fetish/naked. So normal we accept guys in sports it's a sport night and we don't accept underwear during this night. We have a lot of underwear night if you want to wear underwear. Before to come in a bar look the dress code before to complain about the dress code. Because we know exactly what we do and we are really strict about the dress code. So if you want to wear what you want and don't respect the rules of a bar , go in a cruising bar who have no dress code. Your review is absolutely no justify for someone who respect nothing. For the service slow you are the only one to think that. And for put 2 stars in cleanliness when our bar is the cleanest of all the cruising bar, and 2 stars on facilities when we are the biggest cruising bar in Maspalomas with a lots of different area for play. Nobody will believe what you just wrote. The Hole on 10-Mar-2019 | Reply	Problem with this review? Chris on 21-Feb-2019 | Reply	Problem with this review? “Thank you Chris for this nice review. 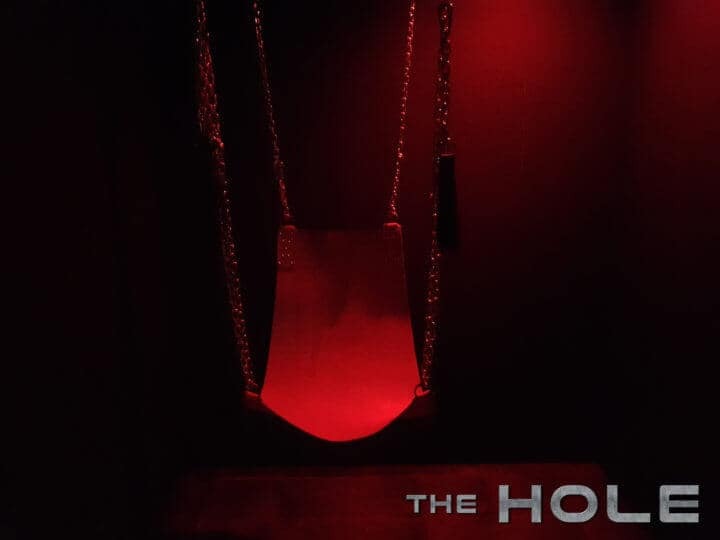 The Hole on 05-Mar-2019 | Reply	Problem with this review? “This bar maybe a short walk from the yumbo but it certainly is well worth a visit. Prices are reasonable, place is very clean, staff always friendly and a nice mix of guys. Sometimes early on it can be quiet but at other times a fair few amount of guys and all ages. It also has an indoor smoke/vape area as well as cruising, slings, glory holes etc. Andrew on 27-Dec-2018 | Reply	Problem with this review? “Hi Andrew thank you very much for nice feedback and for your support. The Hole on 11-Jan-2019 | Reply	Problem with this review? “On Saturday in the late evening (15.12.18) there were 5 (or 4?) men. Wanted to drink an o-juice, got sugar-water. The man behind the bar was not unfriendly, told me to order another drink. I asked to alcohol-free beer, it was not available too. Left this bar after 10 minutes! Christoph on 16-Dec-2018 | Reply	Problem with this review? “Hi Christoph, thank for you review, for the bar with 5 people like you said, before Christmas it's one of the most quiet week. 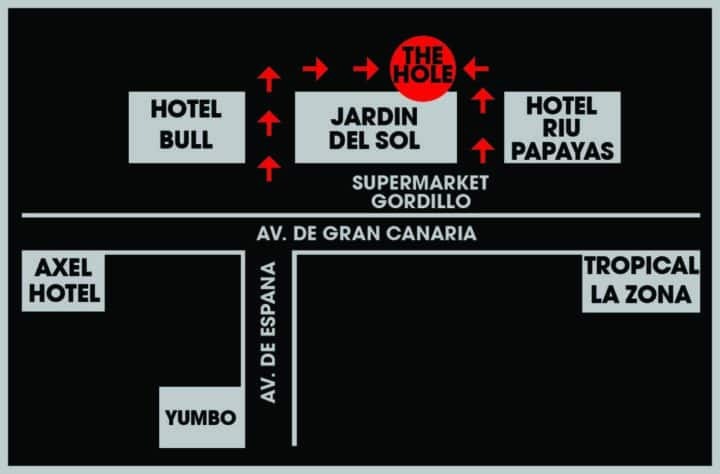 And for your information The Hole is a new bar, we have a lots of busy nights, and some quiet nights like all the gay bars in Playa del ingles during the beginning of december. and if you came late it's normal it's more quiet, people come early in general, but we never know what to expect, because it's a new bar. If you came during fetish week we had 300 people inside the bar. For the orange juice, we are sorry if it was not at your taste, you are the first customer who complain about the orange juice, but we take in consideration what you say. For the alcohol free beer, it's our choice if we don't have at the bar, since we are open since 7 months, you must be the third customers who ask for alcohol free beer. We have really a lots of choices for the drinks compare at some others bars. And like you said we are not unfriendly if they are problems just need to say, we try always to solve the problems. We are sorry if you didn't like The Hole, we can't please to everybody. But you know it's always better to talk to us, we listen our customers, we changed a lots of things since the bar is open. During the Saturday night when you came, we didn't have only 5 customers, but if you stayed 10 minutes, you will never know, people don't stay only 10 minutes. For the bar is not 1€, worth, this is only your opinion. 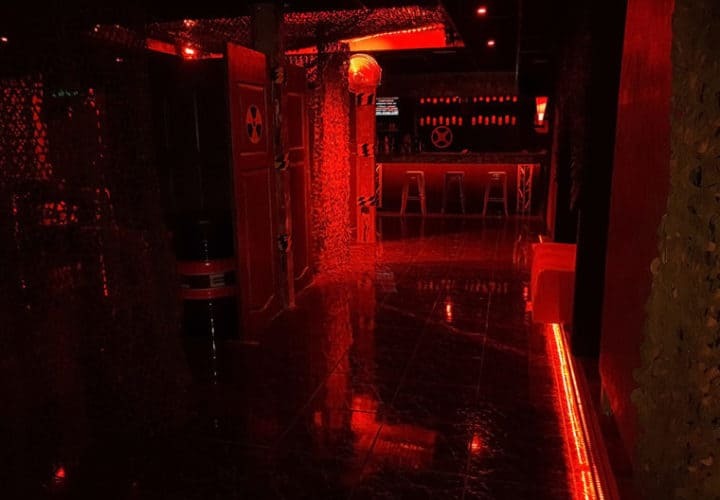 People are happy to come during a Saturday night before 23H, and pay 7€ with 2 drinks included, we are the cheapest and biggest cruising bar of Maspalomas and with all the areas we have for play, we think 7€ i's not expensive. We take your review in consideration. The Hole on 30-Dec-2018 | Reply	Problem with this review? Best venue in playa del Ingles! Henry on 08-Dec-2018 | Reply	Problem with this review? “Thanks Henry for this nice review. “Went in June, a month after they opened and it was great. Went again in September twice now. The have themed nights i.e. naked, sportswear, etc. 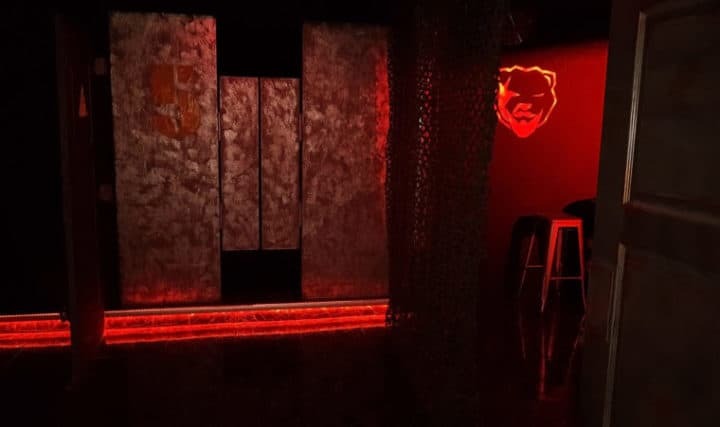 Very clean, great staff, Would be good to have a glory hole section downstairs, and also the TV’s are too bright downstairs. Darren on 25-Nov-2018 | Reply	Problem with this review? “Thanks Darren for this nice review we will think where to put maybe a glory hole downstairs. And for the TV we will do something too. The on 04-Dec-2018 | Reply	Problem with this review? Philippe on 23-Nov-2018 | Reply	Problem with this review? “Merci Philippe pour ce commentaire. Wim on 02-Nov-2018 | Reply	Problem with this review? The Hole on 08-Nov-2018 | Reply	Problem with this review? Jeff on 24-Oct-2018 | Reply	Problem with this review? The on 23-Nov-2018 | Reply	Problem with this review? “I pass by today and saw a sig "100 meters” but after 100 meters I saw nothing. Were are your club???? There come people in your club??? Hand on 19-Oct-2018 | Reply	Problem with this review? Mike on 15-Oct-2018 | Reply	Problem with this review? “Thanks, Mike for this nice review. David on 10-Oct-2018 | Reply	Problem with this review? “Thanks, David, for this nice review about the douche facility we have in the big toilet upstairs, close to the cloakroom since we're open.